Our next registration date is Saturday April 18th, 2015. 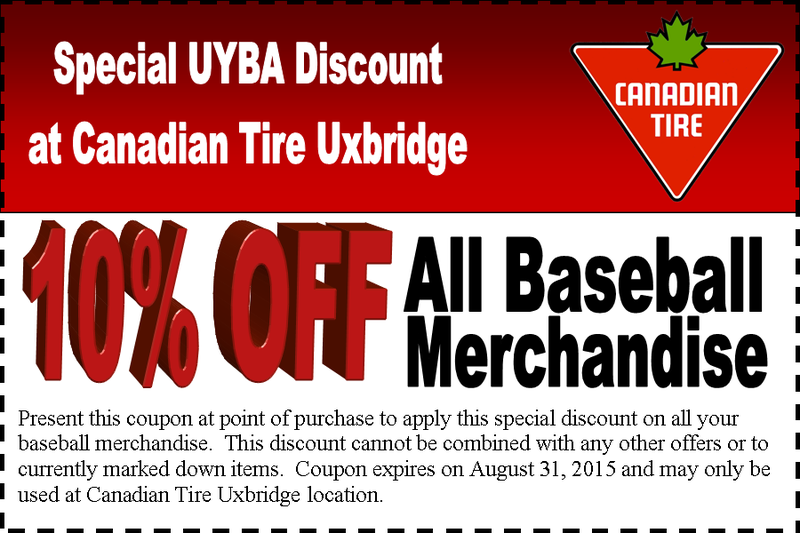 Visit our registration table at the Canadian Tire Uxbridge from 9am - 12 noon and take advantage of family discounts and ALL registered players can receive a coupon for reduced prices on Baseball Equipment courtesy of Canadian Tire Uxbridge. Early bird pricing does not extend to this date! Players must have registered and paid before April 1st to receive early bird pricing. New! This year all coaches will receive a COACHES HANDBOOK - a binder with example drills and exercises and great support information!